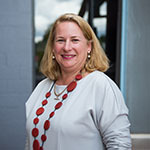 Ms Kate Lorimer-Ward is the Deputy Director General, Agriculture, NSW Department of Primary Industries (DPI) and Chief Executive of the NSW Rural Assistance Authority. This role is responsible for developing DPI's industry focus on increasing productivity and resilience driven by research and development, workforce capacity building and business and social resilience programs. Kate is a committed senior executive within the NSW public service who continually seeks to deliver value to the communities that she serves. Kate has worked across a diverse range of portfolios with extensive management experience, and has a real passion for the agricultural sector, founded in more than 20 years experience in the public sector in rural and regional NSW. Kate holds a personal focus and desire to service the rural, regional and remote communities within NSW, through creative leadership, innovative program creation, design and implementation. Kate is also a partner in a farming enterprise near Orange, a member of the Institute of Company Directors, a Director on the Board for the CRC for High Performing Soils and a Trustee for the Belgenny Trust.